The Financial Diaries showed Mexicans are in a double bind when it comes to health. While households in the study were afflicted with diseases of tropical poverty such as tuberculosis, hepatitis, and insect-borne diseases, they also suffered from diseases commonly diagnosed in wealthier countries, like diabetes, depression, and obesity. People are unable to access the quality of healthcare they would like to deal with these diverse problems, both because of financial constraints and because it is difficult to know when expensive, higher quality care is necessary. Financial Diaries households mostly pay for medical care by borrowing from their social network. We found this to be true even though the Mexican government does provide a comprehensive and well-functioning — if variable by location — national public insurance program called Seguro Popular. The framework of behavioral economics is helpful in understanding how Diaries respondents think about the timing of paying for healthcare, and why they pay for health spending almost exclusively by borrowing from families and friends. 1. It is difficult to assess risk under scarcity and limited information, so families wait to get care. When sick, we all worry about how serious an illness might be and when we should go to the doctor. Among the Mexico Financial Diaries sample, nearly half of the households needed a doctor but went without one at least once during the study. Sendhil Mullainathan and Eldar Shafir have documented how the scarcity of poverty impinges on the mental space needed to make important decisions. We found that respondents waited until health issues were either too serious to ignore, or until they had enough money to cover costs before spending on healthcare. Respondents focused on getting more money first, going to the doctor only when they had freed up a little more financial and mental bandwidth. Households are constrained to thinking about illness through the lens of the financial first. This waiting game resulted in serious negative health consequences for a few Diaries families, which you can read about in the full report on health spending El Niágara en Bicicleta. 2. Sunk costs logic may lead to double spending on traditional and conventional medicine. I noticed that Sebastián was worried and sad, given that it was becoming more and more difficult for him to go to work because of his injured hand. He has seen curanderos in the community, but none have given him a cure. A few months ago Sebastián went to the doctor hoping to finally get relief. The doctor ordered a series of tests, but the family could not afford them [and Sebastián did not go] . 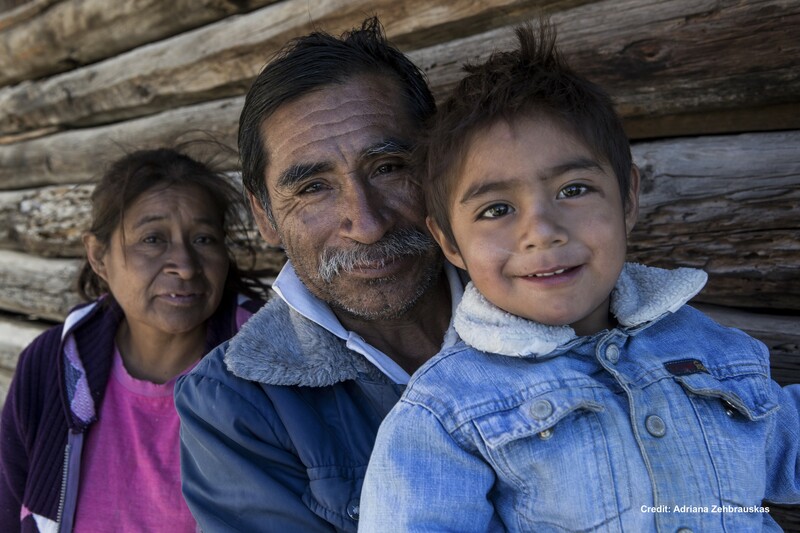 — Field researcher’s notes about a family in Oaxaca. Respondents in Puebla and Oaxaca were not always satisfied with the quality of care at the public community health clinics either, but would go to the clinic first as they are relatively cheap. Families sometimes traveled to the city to seek out a better, more expensive option later. In some cases, households made this switch too late, resulting in permanent damage, and in one case a preventable death from appendicitis. 3. Status quo bias and tunneling make borrowing from others appear to be the only option. In our cash flow data, we found a strong correlation of borrowing from family and friends in the weeks when households paid for healthcare. Families describe that borrowing from their network — including moneylenders, but with a rational preference for the free loans offered by family and friends — is the way they have always paid for healthcare. In turn, they also help out their family and friends when misfortune strikes. When families are focused on getting money urgently to take a child or other loved one to the doctor, status quo bias and mental tunneling may lead people to turn to family loans before considering whether another option might make more funds available. This was the case for Ezra in Oaxaca, who was focused on raising money from his contacts to fund his prostate cancer surgery, even thought the bill was more than his family and friends could handle. Time inconsistent preferences are often used to explain why households are not able to save for low-probability emergencies like a major illness, and this is a useful framework. However, we do not see this to be the main barrier in Mexico at this time. Families at any income level should not be expected to save for catastrophic health costs. Rather, broadening the option set and helping families to get medical care sooner by alleviating financial burdens — such as through loans with lightning fast disbursements and appropriate insurance — should be the priority. Behavioral insights will surely continue to play a role in developing effective financial solutions for living. Post originally published in ACCION Center for Financial Inclusion Blog. Into economic justice, consumer financial health, management, social science and UX research.